At our place, we seem to never run out of creative ideas on how to grow edibles and utilize the garden for entertainment, food and gifts! Check out our latest eBook, a huge collection of exciting garden projects for any ability level. Get inspired to grow lemon cucumbers, amaranth greens, foot-long beans, spinach on the vine and “cherries” that sprawl on the ground. Find out the many uses for arugula, squash blossoms and Asian greens. Sprout an avocado seed for fun. Enjoy a complete garlic planting guide that includes simple steps to grow garlic scapes indoors. Pickle garlic flowers and enjoy this flavorful herb YEAR ROUND! 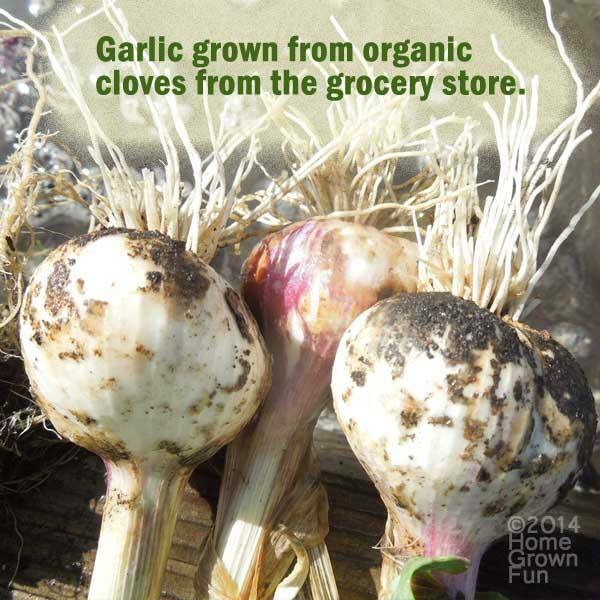 Learn the secrets to growing garlic from the grocery store. Test different types of fragrant basil. Coax your carrot seed into sprouting weeks faster. Learn how to properly plant an asparagus bed and discover which herbs, fruit, flowers and vegetables grow well WITH asparagus. Grow fig trees in pots. Create homemade plant labels using tree slices, polymer clay and found objects. 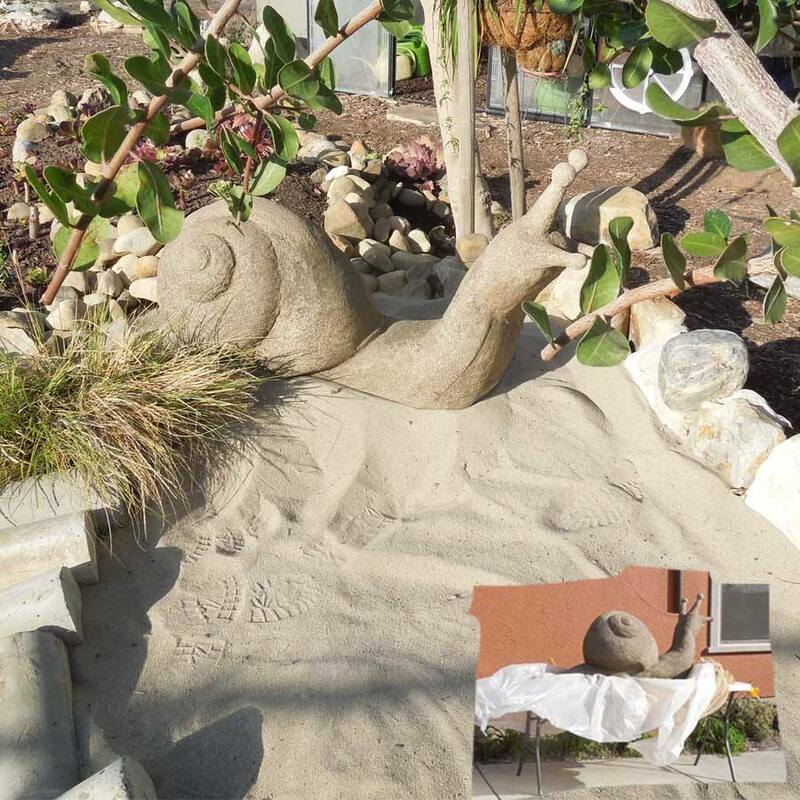 Create impressive, lightweight cement troughs, pots and sculptures that last many, many years and in all kinds of harsh weather. Turn seeds and succulents into impressive gifts for teachers, friends and family – OR SELL FOR PROFIT! Make beautiful seed paper using attractive materials (WITHOUT toilet tissue). Brussels sprouts, cabbage, kale and kohlrabi are healthy options for us, but they prove to be boisterous brassicas! Get tips for ensuring they don’t cause you embarrassing intestinal rumblings! Can’t seem to enjoy the sharp flavor of kale? Find out how to make it taste better using specific companion ingredients and dressings. 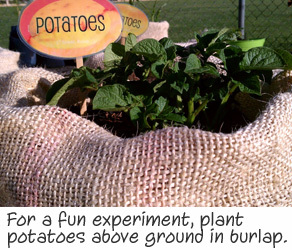 Plant potatoes above ground in burlap sacks! See how easy it is to sprout spuds in a bag and how fun the harvest can be for all ages. No organic garden guide would be complete without lots of handy information about growing tomatoes. You’ll discover rare nuggets of information that will surprise you. We bust all kinds of myths about saving tomato seed. 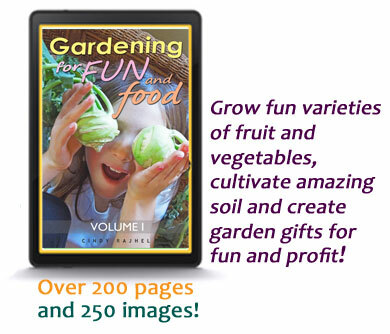 Gardening for Fun and Food is a fun reference book you’ll use for years to come. It will inspire you to try new fruit, herbs and vegetables. Grow more tomato plants from just one vine! Multiply a variety of plants from cuttings. Use burlap in the garden effectively to mulch plants and speed up germination. Stop buying bagged soil and recycle what you have around the house to plant immediately in RAPID lasagna beds. Use pollen and other organic materials to make compost FAST! Install quick composting tubes around your garden to enrich the soil on the spot where your plants grow. Build simple raised beds IN ONE DAY without power tools! Plant vegetables in reclaimed furniture. Bake snack chips from kale, kohlrabi, turnip and nasturtiums! No money for a greenhouse? No problem! Spend $65 and construct a high tunnel that will withstand winters and high winds – NO runaway PVC frames that take flight in storms. Eat every inch of your garlic plants. Become a master of leaf mold! The eBook contains hundreds of pages and loads of images – Informative, Inspiring and Entertaining!